Thank you so much for my Pandora saddle! I knew it was good to ride in when I first sat in it, and it only got better from there. 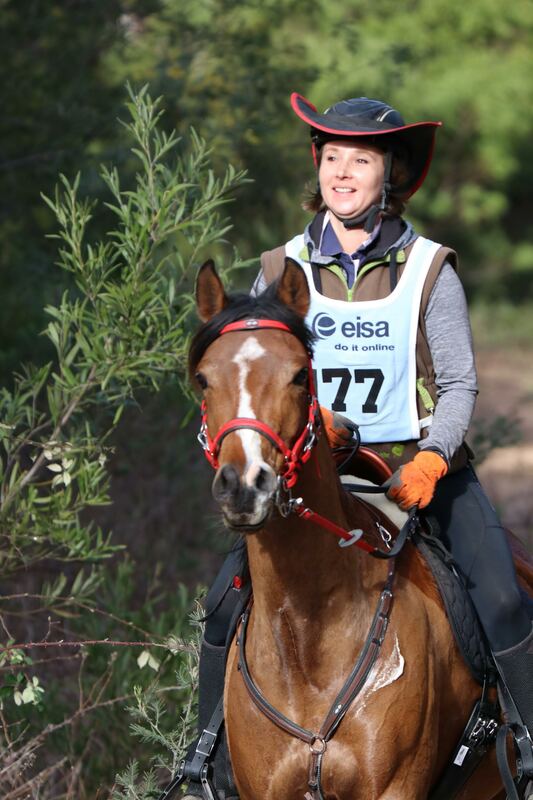 Last weekend I did a short endurance ride (22km) as our warm up after a winter of little work. 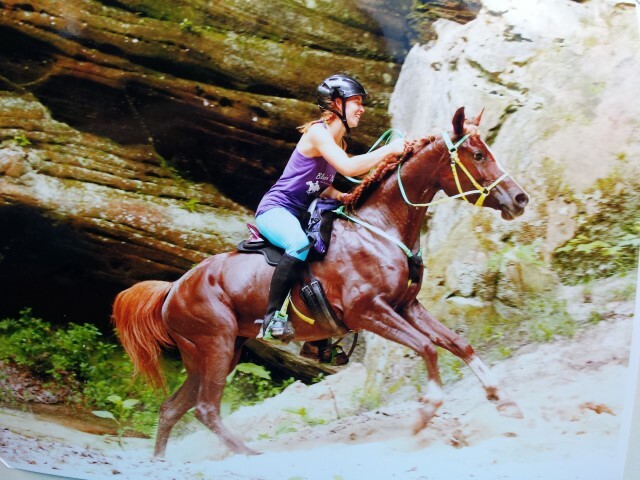 My horse was "fired up" and shied spectacularly on several occasions during the ride, but I stayed safe in my Pandora. Even when my horse jumped, mini-bucked, then bolted, I was able to stay with him and keep my balance. I did not even lose a stirrup.. as a result, I was able to communicate more effectively with the reins, I gave him his head where needed and helped him settle down. During the very fast, very extravagant trots that he did, I simply floated along in absolute comfort. I could feel my feet underneath me, perfectly in balance, my legs against the horse's side feeling every bit of movement as it happened. I was not sore after the ride, apart from a small amount of soreness in my gluteus from not riding much during winter. Awesome, absolutely awesome saddle. I have tried many others before it, including a Stubben, a Klimke, Setzi, Zaldi, to name a few. 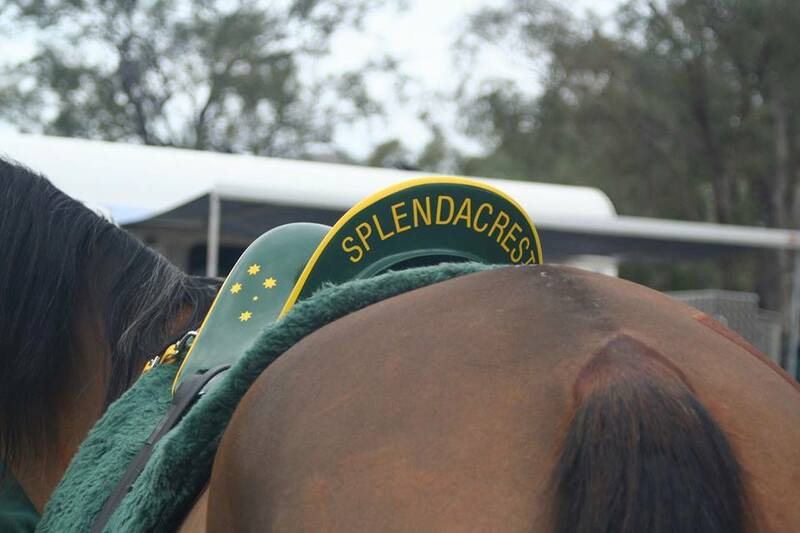 No other saddle even comes close. 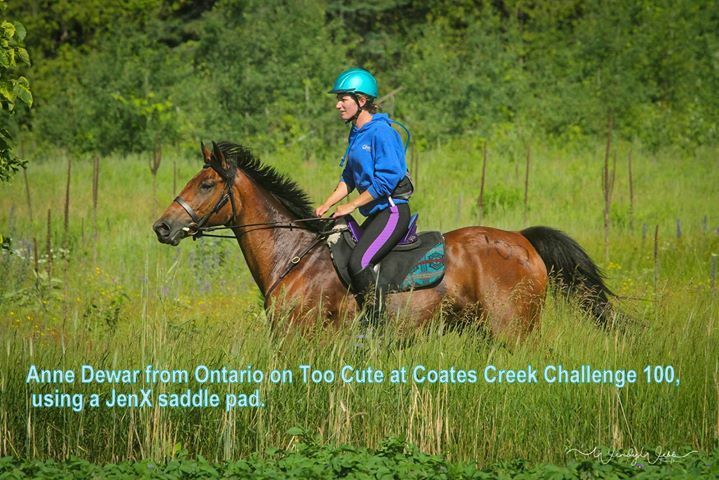 Here I am on Morgan at the Coates Creek Challenge 100 in New Lowell Ontario. We placed 6th and had great back scores all day! Very comfy saddle! Love it! Don't ache anymore after a ride and I can go anywhere in it. Will get another one very soon just as a spare! I have been really enjoying my saddle. Love it! Here I am on Dunbar Caspian. I am so happy with it. Really glad I finally ordered one! I just got back from a vacation in Ecuador, where I planned to do some long hours in the saddle, so I took my Pandora with me. 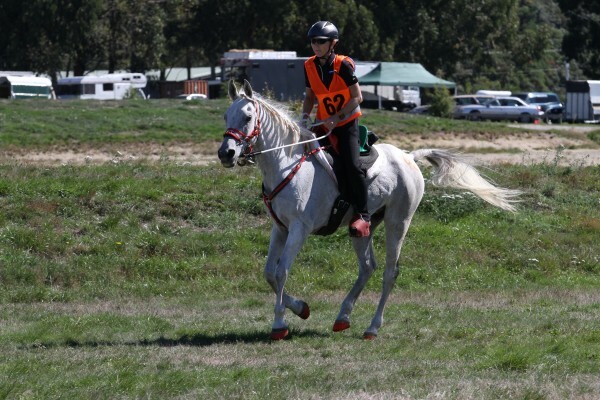 The first bit of riding was with endurance riders, so they were not surprised I brought my saddle. But, I also rode while staying in Vilcabamba. I did two full day rides. One of them was climbing 3500' up to the National Park on the steepest trail I've been on to date. It was just incredibly steep and we took the same one on the way down. 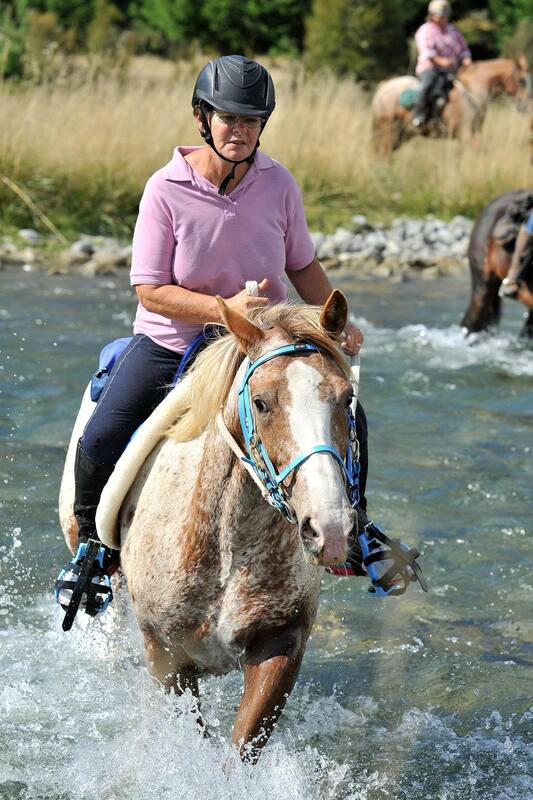 The owner of the horses was concerned about me riding my own saddle because there was no way to attach the breaching and breast collars that they use on the saddles. 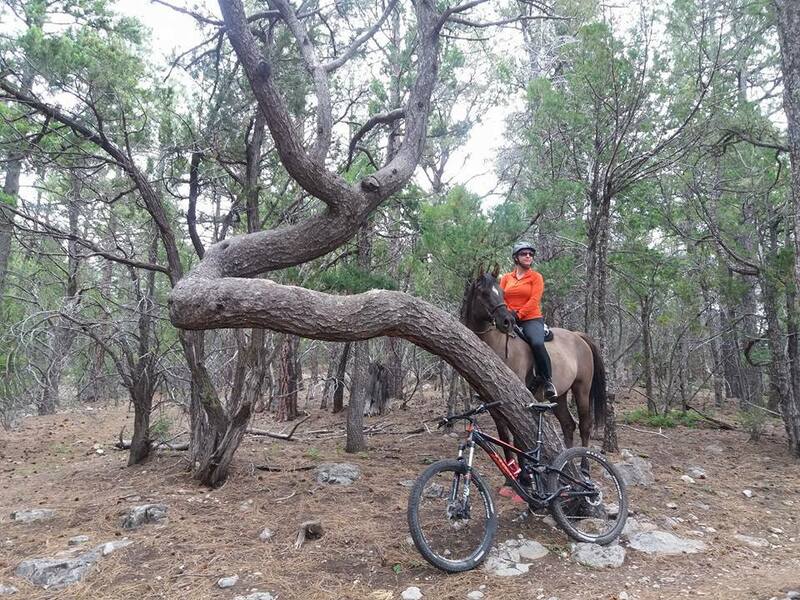 He was concerned, mostly, about the saddle sliding forward on the way down. I assured him it'd be fine. So, the first thing that he asked the guide, when we returned to the barn, was if my saddle slid around or not. The guide told him we never had to stop to adjust it. The owner picked it up and was completely surprised at how light weight it was. He examined it all over and exclaimed that it was EXCELLENTE (over and over and over again). He asked where I bought it, how much it costs and then started wondering if he could purchase them for his horses. It was pretty funny watching his reactions. Of course, any saddle I put on those poor horses was going to fit better than what they use on them, so even just the minor fitting adjustment I made created a much better fitting saddle than the horses are accustomed to. That was definitely the ultimate test of my Pandora staying put! Hello friends, here is my update! I rode in my Pandora a handful of times prior to my distance races this past weekend. 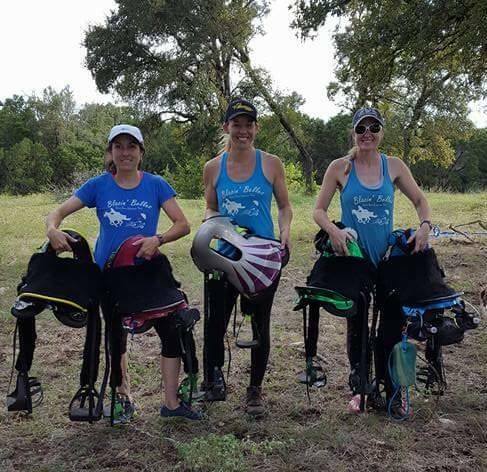 We did a 14mile SS and 25mile LD. My mare moved out well, my back isn't sore and she was vetted out several times without any comments or negative scores on her back being sore. I found my Lemieux saddle pad is amazing with the saddle. 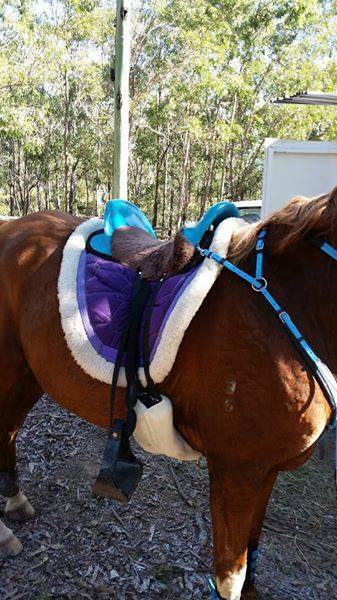 I absolutely love this saddle pad as it comes further down, is light, doesn't hold heat and is breathable. I will be purchasing a second one to use with this saddle. Who knew! I loved my Pandora so much I ordered a second for one of my other horses. I love how light weight they are and fit my short backed Arabians better than any other saddle I have tried. I don't only use them for endurance. 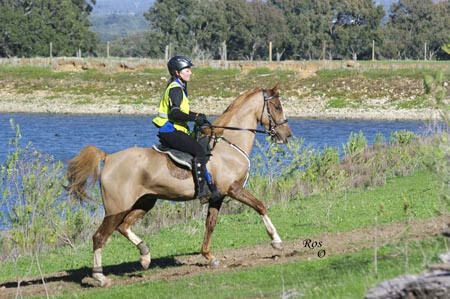 We love our pandora's 💙💞 so versatile we use them for every discipline from pleasure riding, cutting clinics, endurance, beach rides... You name it our Pandora's have done it. I love how secure I feel in it and despite its appearance it's very comfortable and not slippery. Very lightweight and easy to care for. I love my Pandora! I have back problems, so the light weight made it possible for me to start riding again. 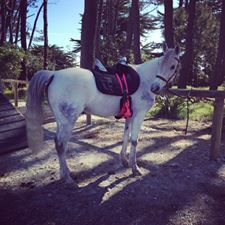 Love, love, love my Pandora saddle! This is #244. It fits both me and my horse, Justin. I'm comfortable and secure in it, and he's happy. Pasadena, Maryland, USA. 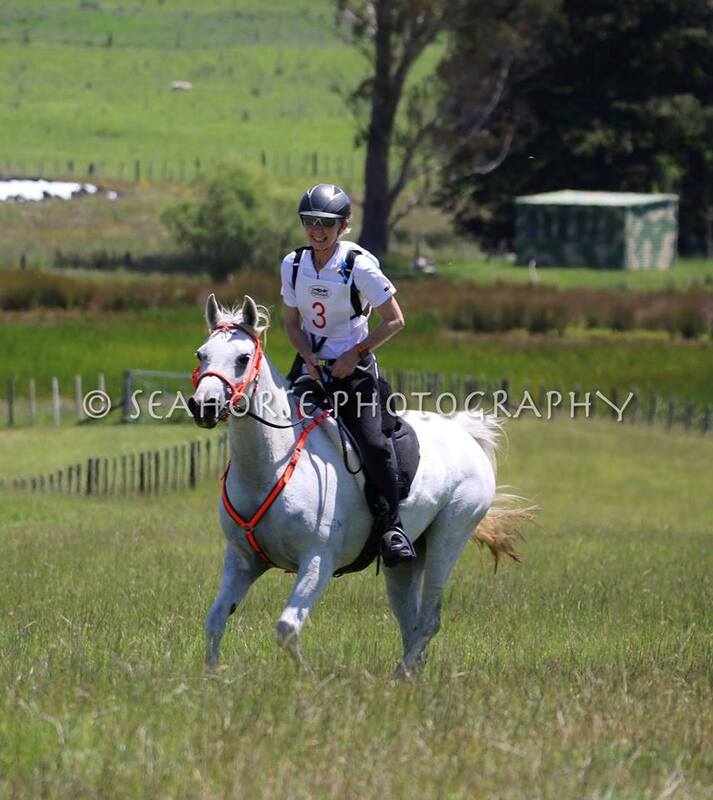 Riding my young horse in her Pandora at the North Island Championships in a her first novice 80km ride. Poured with rain all night and all morning. Great saddle ! Photo credit Seahorse Photography. 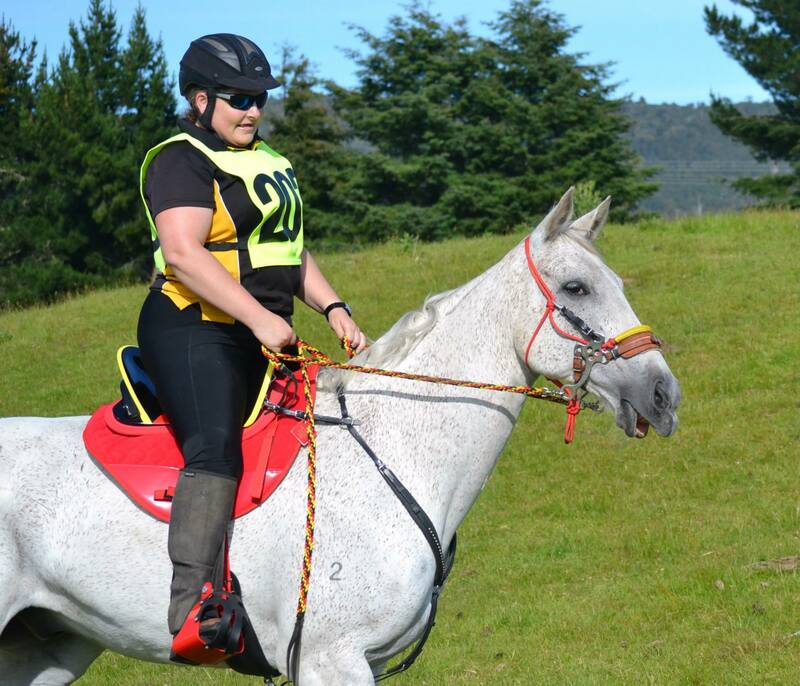 Riding 100km last weekend at the North Island Championships (horse furthest from the camera) in our weighted Pandora. Second place and Best Conditioned Horse. We love our pandora saddles — feeling happy. Photo credit Seahorse Photography. Just love our new pandora saddle! Ruby sporting a Pandora. 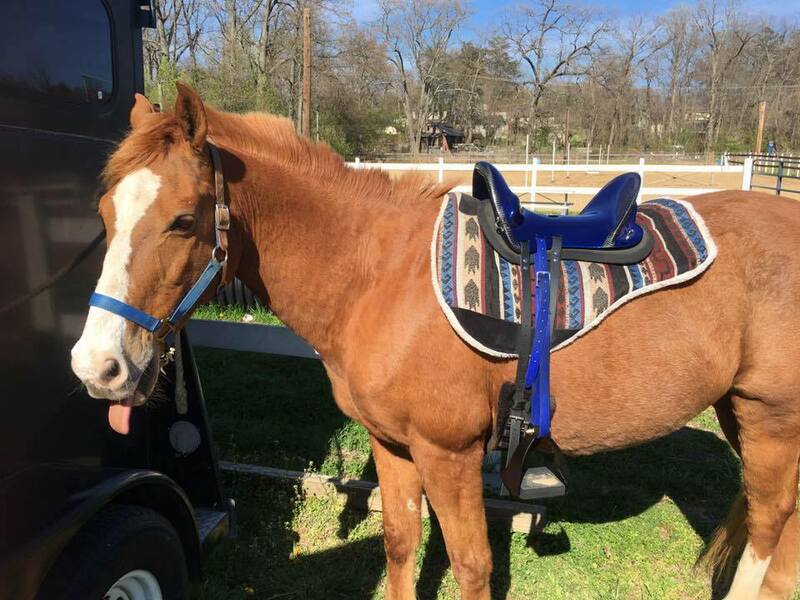 I'm not an endurance rider - just a trail rider, but I LOVE, LOVE, LOVE that this saddle fits a variety of equine shapes and sizes, and that it is SO LIGHT! Emily Rose Stamboulieh‎, Maranda Bibb and Flash Accardo love their Pandoras! Yesterday, for the first time ever, I rode almost 20 miles and didn't have a sore crotch! This saddle is SO WORTH IT. 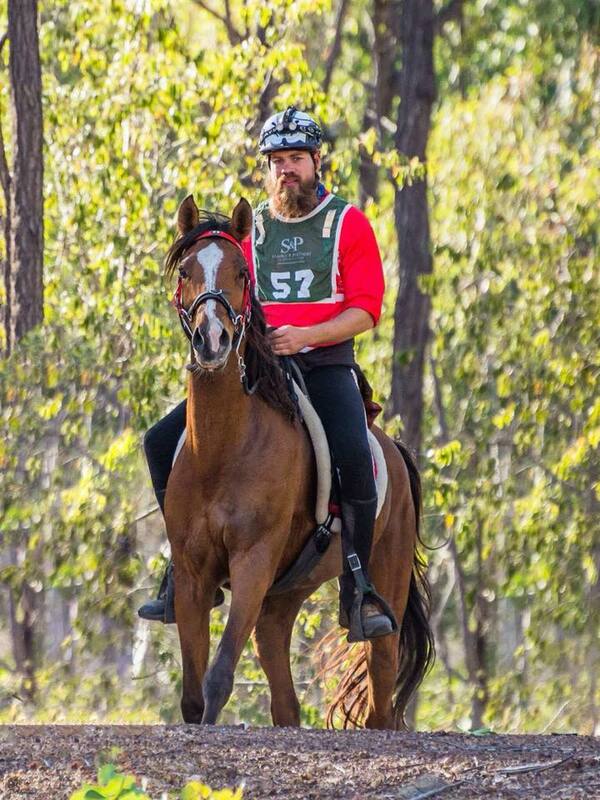 Not sure if my mule, Winston, is going to make it in the endurance world. 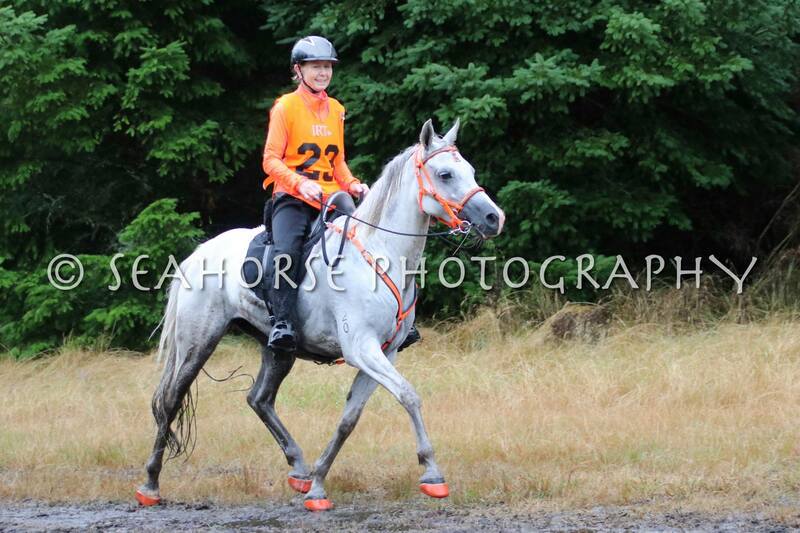 But he can trot all day long … And we sure look great going down the road! I love this saddle! Thank you! You guys rock!! 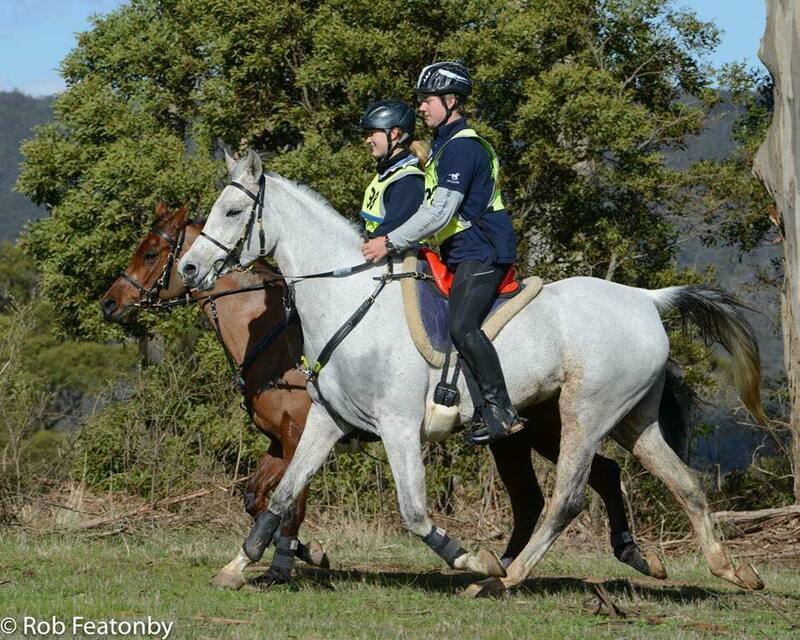 I have to give a massive shout out to all the team at Pandora Performance Saddles. I had ordered a saddle for my daughter and the time frame worked that it would be ready for our State Champs. Unfortunately an injury slowed the manufacturing down as well as bad weather and even working double time and one handed the saddle was just not going to be finished in time. But all was not lost, a spare saddle was found and sent down to us! 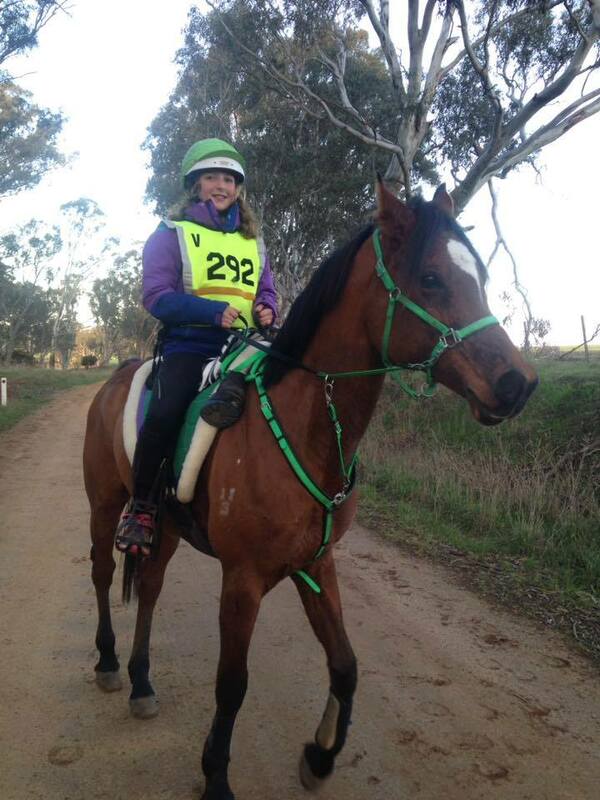 Not only did my daughter now get to compete in a Pandora, she completed the 160kms, became the Junior Vic State Champion and took out BC. 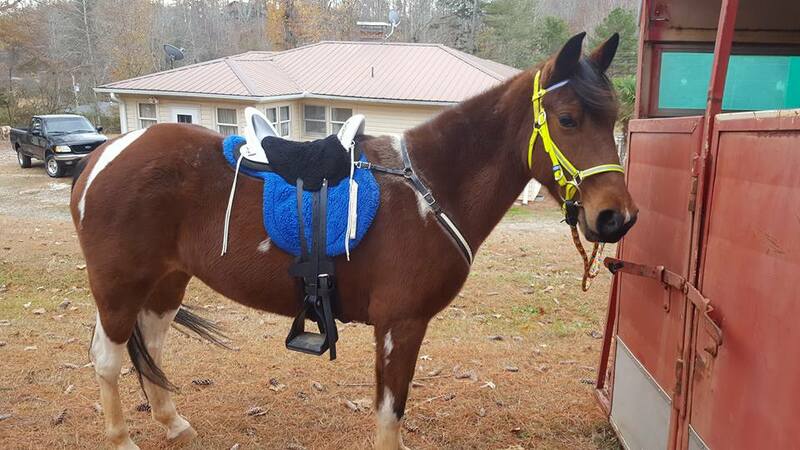 This is testament to the quality and comfort of the saddle for both horse and rider. I know you are not meant to try new gear at a ride, let alone a 100 miler! We did and conquered!!! Thank you Natasha, you made a little girl (and her mum) very happy. After buying and trying several different saddles for many different horses I decided to give Pandora a chance. I could not be happier with how this saddle fits every horse I've put it on and how comfortable for me it is! 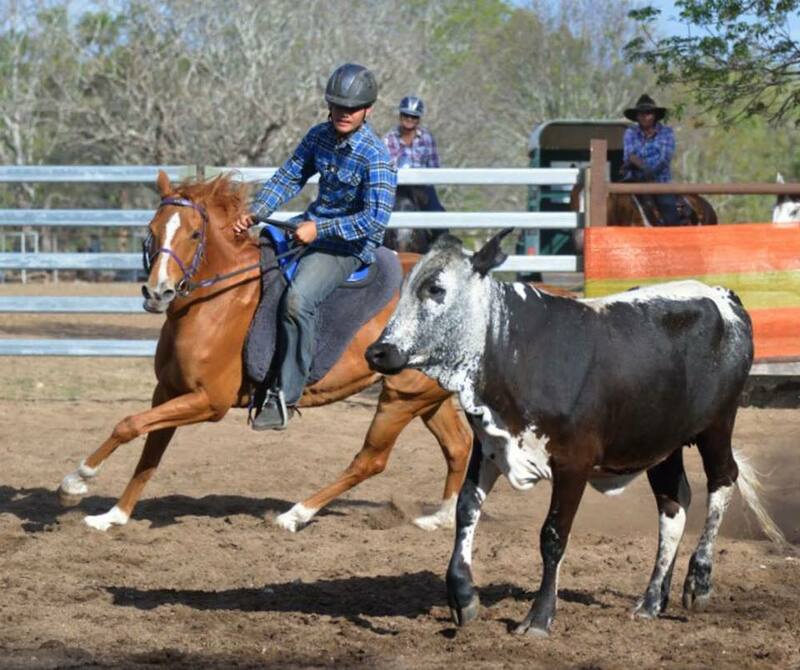 I previously was dealing with very sore backed horses and tried numerous different pads as well. My mare has white hairs on her shoulders now from ill fitting saddles. 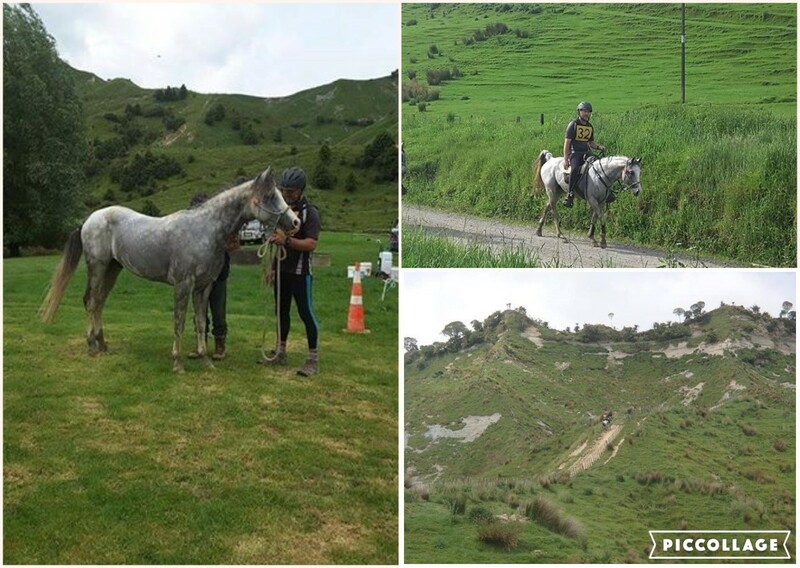 We recently completed 75 miles of very rough terrain with lots of inclines and declines, and the saddle stayed perfectly in place and never once had the slightest bit of soreness and passed vet checks with all A's :-) I too was not the slightest bit sore from the saddle! Oh and lastly the weight is amazing! 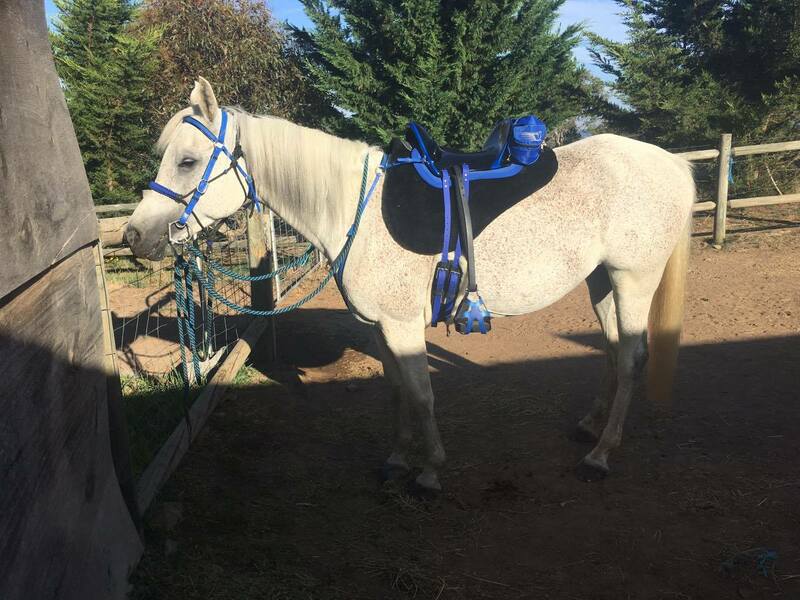 I need a light weight saddle because my mare is tiny so need to cut weight wherever we can. When I add everything to it including my pommel bag and cantle bag filled, saddle pad, bridle, reins, and stirrups we are still only at 17 lbs total! Amazing! 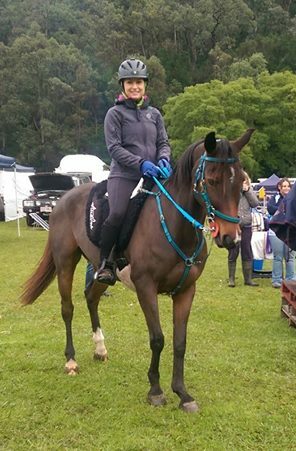 Completed my first 50 mile endurance ride with the Pandora saddle! 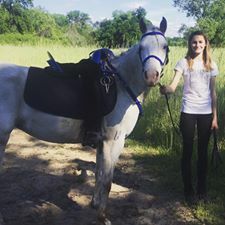 It was such a great fit for me and my horse - very balanced ride, lots of room for my horse's shoulders to stride out, and all A's on his back/withers after 7.5 hours. I used a Coolback pad and it gave the right amount of padding for his back and my legs. 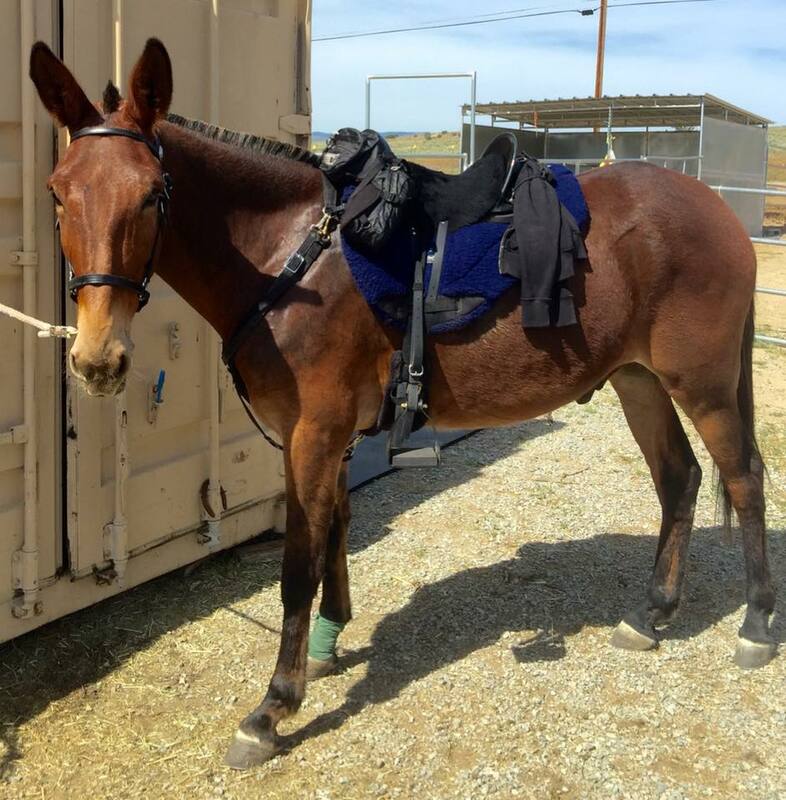 My cantle pack with two bottles fit right behind securely and the front two D rings held my martingale, sponge and bottle holder. I loved how light it was to take on and off his back. 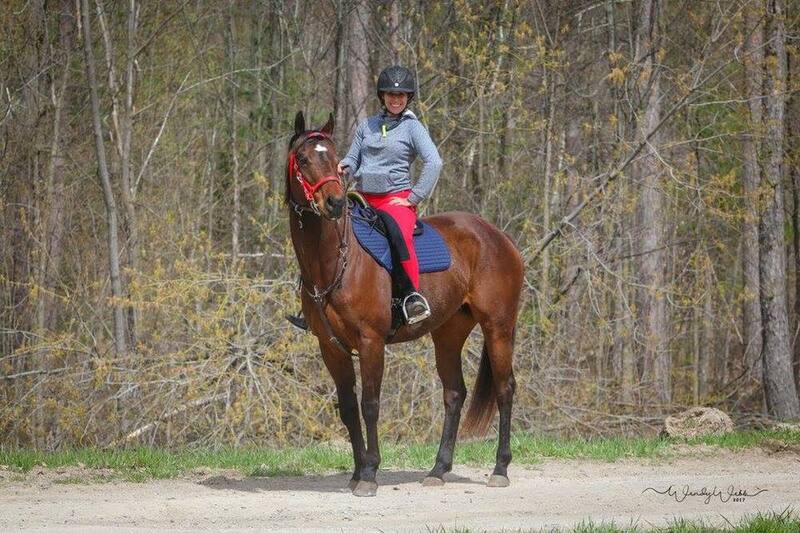 My horse settled into a nice big trot and we did a lot of cantering - the saddle was comfortable at all paces. Thank you, folks at Pandora, for everything! 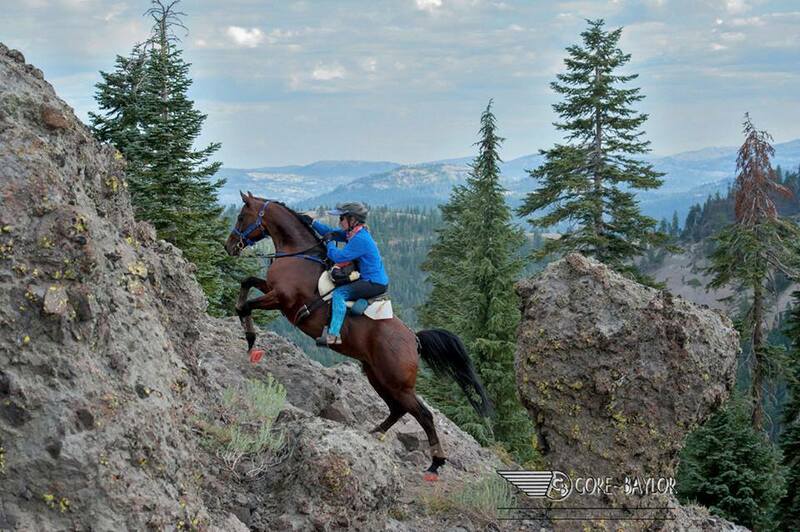 We completed the Tevis in 22nd place out of 198 starters and 90 completions, 45% completion rate. 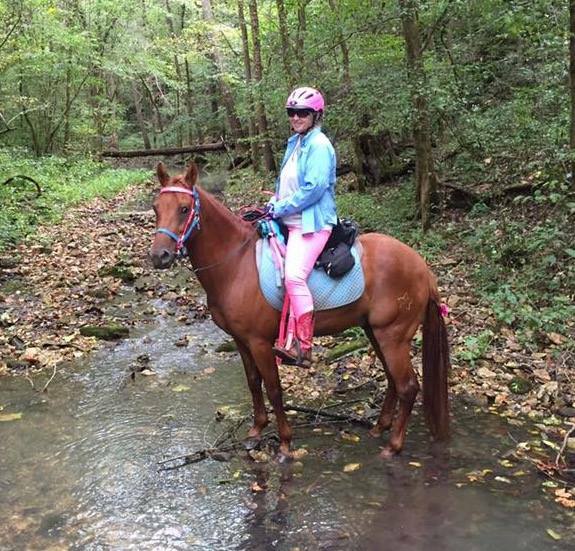 The Pandora worked great on my horse, and for me too - I felt great afterwards! Bo scored A's all day through the end on his back, and looked terrific. This ride has 41,000' of elevation with 23,000 of that being downhill so it was a pretty good test. I also used the new Pandora shaped D-Lua Park Saddle Cloths and it worked great. 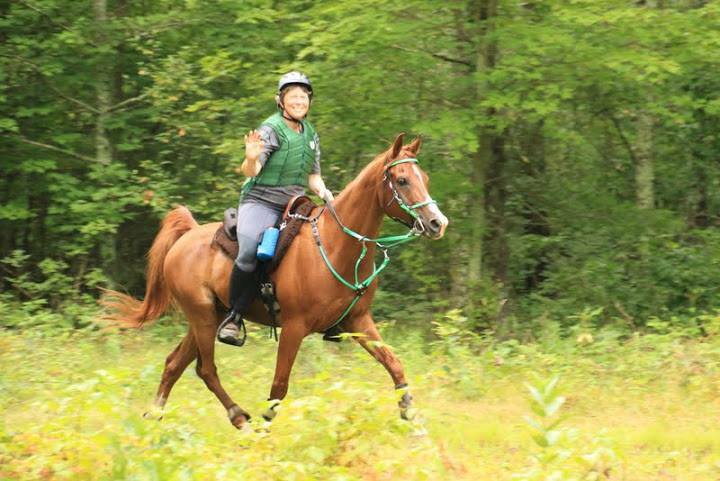 I turned it over at Forest hill so that Bo would have a clean side on his back for the last almost 1/3 of the ride. Bo has a perfect back, girth and sides - not a single hair rubbed or out of place. 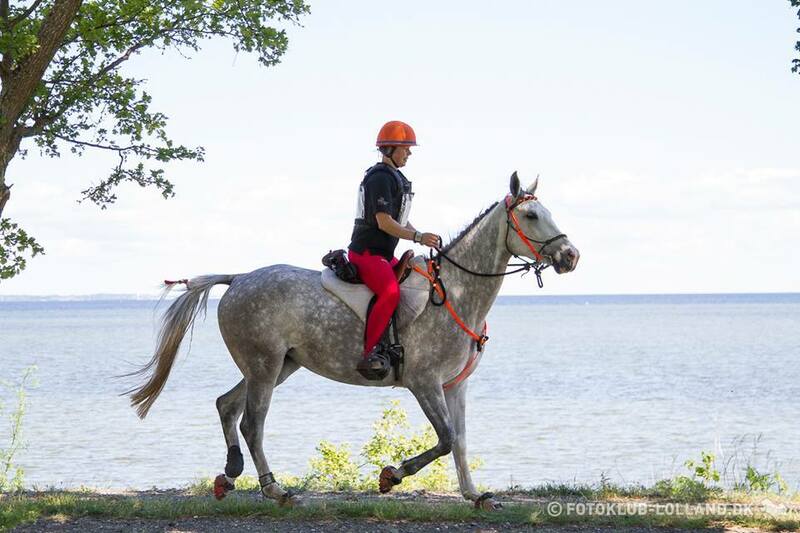 I have a very special Pandora Saddle, and we use it specifically for FEI competitions. This saddle is a very valued part of my saddle collection... in fact, I think I need another one! I just successfully completed my first Tom Quilty and wanted to say again how in love I am with my saddle. I rode a horse that I've never ridden before and he had an exceptionally high wither at well over 15.2hh ... The complete polar opposite of my two ponies at home. My saddle not only fit him like a glove but gave his high wither plenty of clearance. 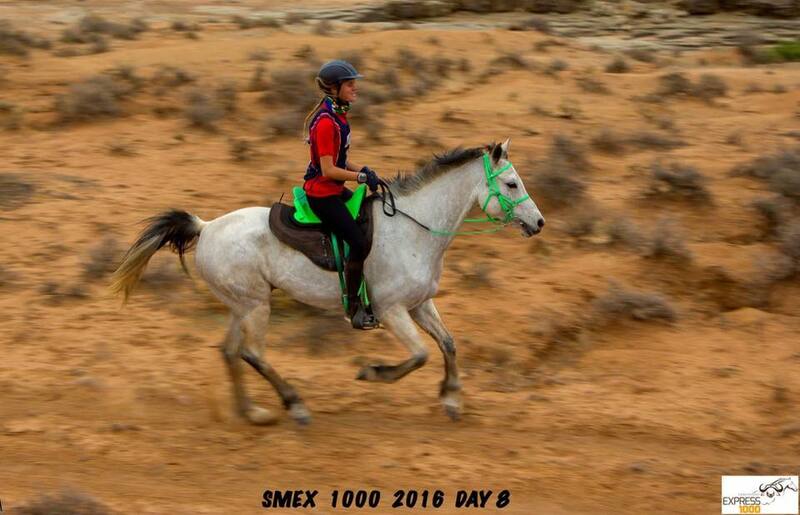 We completed the very difficult ride with some extreme rock climbing in around 16 hours with fantastic vet scores. I am also not at all sore and feel fantastic... Could probably do another 160 today! Thanks Pandora love my saddles!!!!! This is my wonderful Purple and Aqua Pandora Saddle which I love and adore. 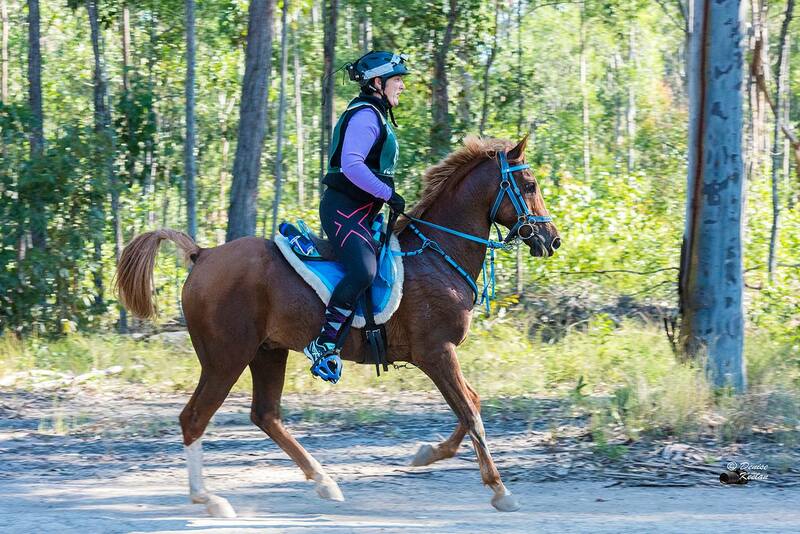 My gorgeous boy Saf has a small back and any other saddle would make him pull up sore, I have now done heaps of km's in the bush as well as 3 x 40km rides and I love love love my Pandora saddle. 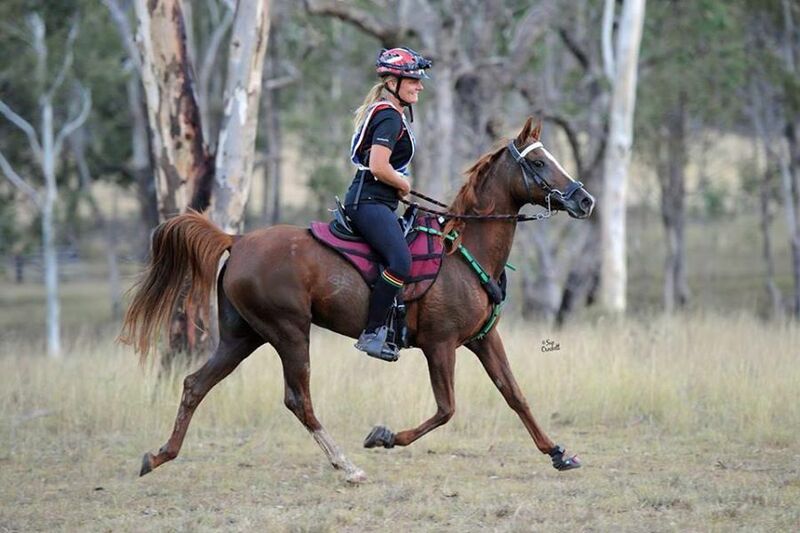 I am thankful that Saf does not pull up sore and neither do I.
I took delivery of my Pandora saddle 3 weeks before a 160km I was intending to ride (3rd April 2015) I would not normally ever change anything before a big ride but the horse and I have been a team for 6 seasons so I felt confident that this would be a reasonable decision given the horse appeared to love this saddle and I was intending to go slowly. We were successful, the horse received all A's for back and girth and had great scores overall. His final HR CRI was 56/48. 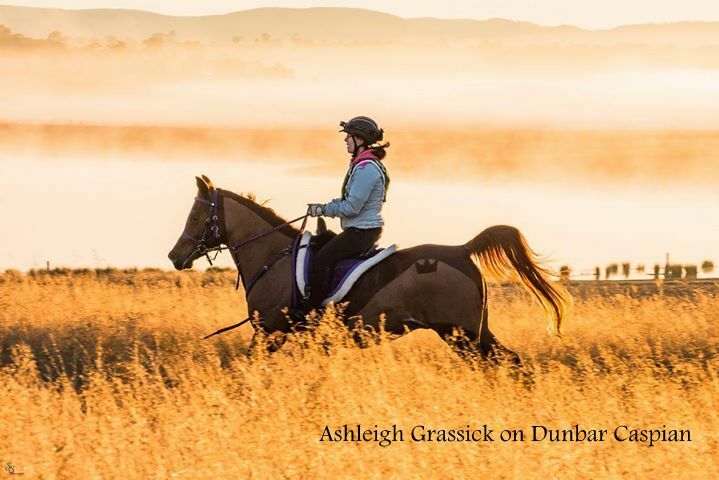 I had not been looking to get another saddle but I do keep up with research and trends and had been aware of the minimalist saddles that were making their appearance. Mostly I was just jealous of any one who could ride in anything so tiny that weighed nothing! 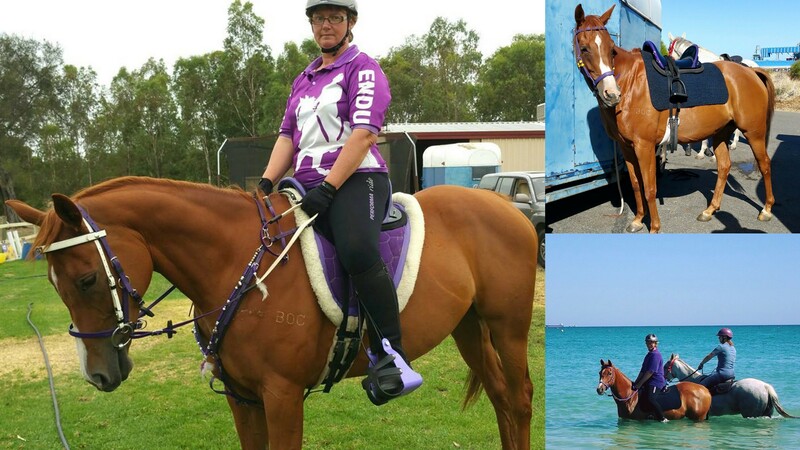 I ride FEI in my country, all our bigger distances are run under FEI rules which means riding to weight. (75kg/165lb) I weigh 52kg (114lb) so I have to have gear that makes up the difference. I asked Pandora Performance saddles if they could make a saddle to weight; they made a splendid job of it. 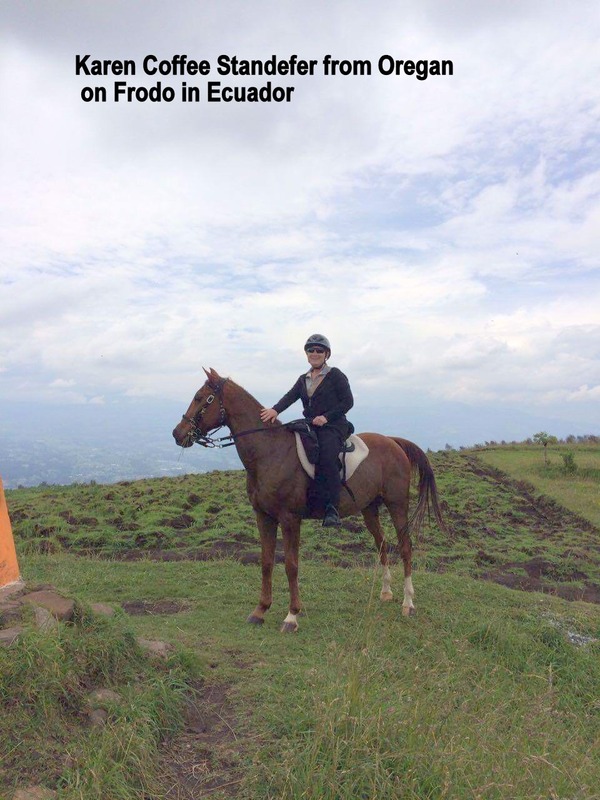 (14.5kg unmounted) It is perfectly balanced and I can lift and swing it onto the horse without too much trouble over the 6 stages of a 160km ride. Because of the weight factor the saddle being right is critical. 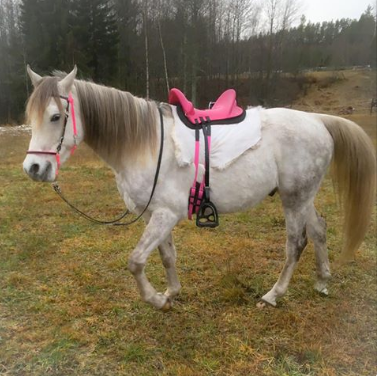 The Pandora is the first saddle I have purchased that is not custom made. It is super to ride in, very secure and close contact. The horse is very happy in it and I can slide my hand under the front as we move along, no shoulder contact! I would have no hesitation in recommending this saddle. 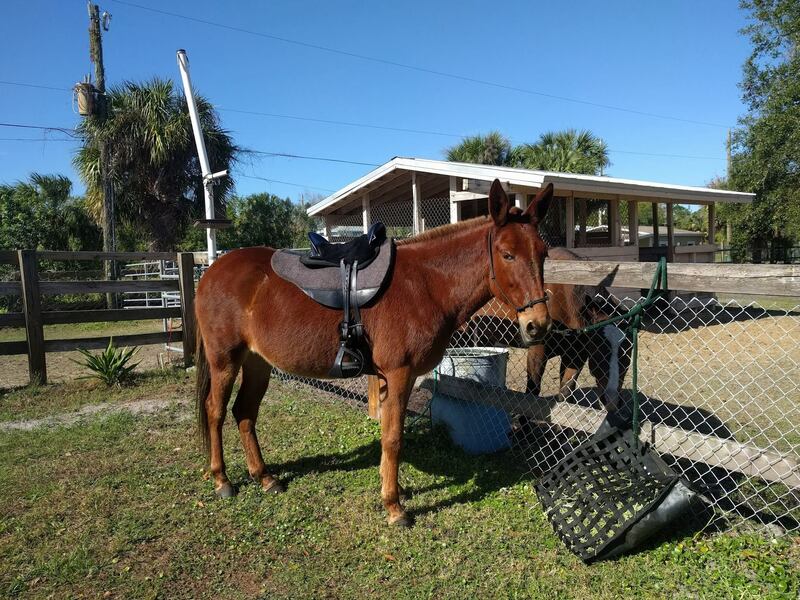 I would love to give you feedback on my Pandora Saddle which I use on all three of my horses, Ari is 14.3hh and very high withered, Marley is barely 14hh and very short backed I have been unable to fit her for any saddle and Dolly is 15hh. All of my horses are totally different build and my Pandora fits them all like a glove without moving the pads. No rubbing no sore patches! The Pandora is extremely comfortable for endurance, lightweight and great value for money. Thank you! 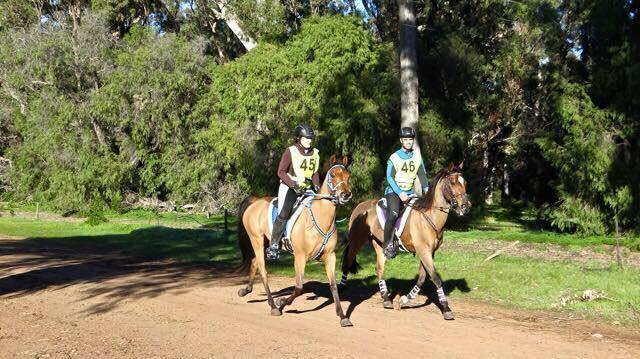 The QLD State Champs (160km) has been won by a horse and rider team in a Pandora 4 times in the last 6 years!